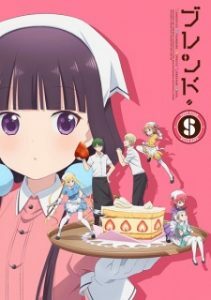 Here are my favorite picks for anime like Hinako Note. Keep in mind the list is in no particular order. Enjoy! 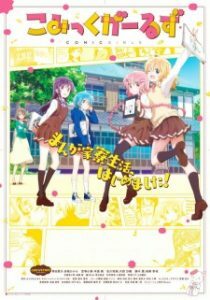 Kokoa Hoto is a positive and energetic girl who becomes friends with anyone in just three seconds. 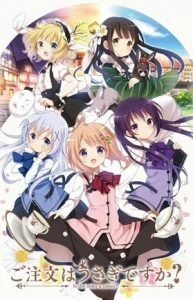 After moving in with the Kafuu family in order to attend high school away from home, she immediately befriends the shy and precocious granddaughter of Rabbit House cafe’s founder, Chino Kafuu, who is often seen with the talking rabbit, Tippy, on her head. 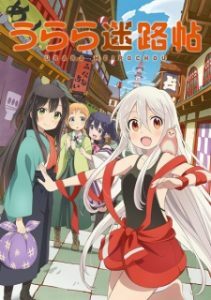 The little town of Meirochou is populated by fortune tellers dubbed “Uraras” who congregate to wield mysterious powers and help people find their way in life. Arriving in town one day is a girl named Chiya who grew up among animals in the mountains but lacks basic common knowledge as a human. 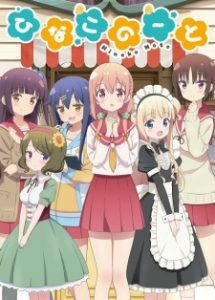 There, she meets other girls her age, such as Kon and Koume, who like Chiya, enter a fortune telling shop called Natsumeya where they also meet a shy girl named Nono. 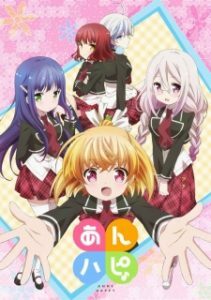 Together, the four girls begin a life of training to become top “uraras” and the adventures begin. 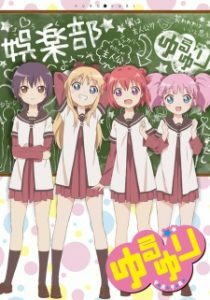 After a year in grade school without her childhood friends, first year student Akari Akaza is finally reunited with second years Yui Funami and Kyouko Toshinou at their all-girls’ middle school. During the duo’s first year, Yui and Kyouko formed the “Amusement Club” which occupies the now nonexistent Tea Club’s room. 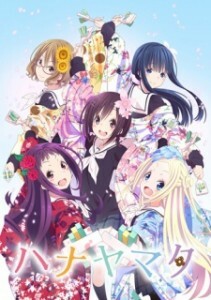 Shortly after Akari joins, one of her fellow classmates, Chinatsu Yoshikawa, pays the trio a visit under the impression that they are the Tea Club; it is only once the three girls explain that the Tea Club has been disbanded that they can convince Chinatsu to join the Amusement Club—a group with no purpose other than to provide entertainment for its members. Naru Sekiya is an average 14-year-old girl with average intelligence, average athleticism, and average talents. She once had hopes that starting high school would change all that. Unfortunately, the reality could not be further from the truth and she remains a wallflower. Why can’t real life be like fairy tales where a handsome prince lifts a poor girl from obscurity and transforms her into a dazzling princess? 15-year-old high school student and manga creator Kaoruko Moeta uses the pen name Chaos. After ranking at the bottom of a reader survey, Kaoruko’s editor recommends that she enter an all-female dormitory for manga creators. Kaoruko’s roommates are shōjo manga creator Koyume Koizuka, teen romance manga creator Ruki Irokawa, and shōnen manga creator Tsubasa Katsuki. The girls support each other as they work to become better manga creators. For the airheaded Minami Tani, there is nothing more delightful than delicious bread for breakfast. Bonding over a mutual love for the food, Minami meets the dignified Yuu Aizawa and the upbeat Fuyumi Fukagawa. Joining them is Noa Sakura, a pint-sized girl who sees bread as the ultimate weapon of self-defense. 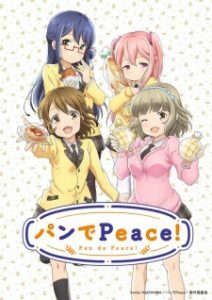 Together, the girls strengthen their bonds of friendship, while striving to sample every kind of bread this world has to offer. 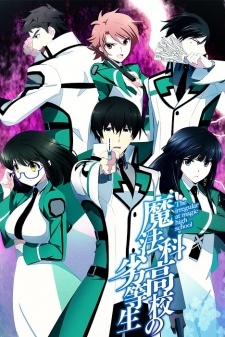 Tennomifune Academy is an elite institution for the best and the brightest, with the exception of Class 1-7, the so-called “Happiness Class.” Each member of the classroom copes with personal misfortunes, and the special class is geared to help them move past their issues and find true happiness. 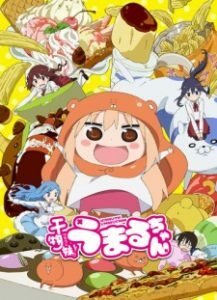 People are not always who they appear to be, as is the case with Umaru Doma, the perfect high school girl—that is, until she gets home! Once the front door closes, the real fun begins. When she dons her hamster hoodie, she transforms from a refined, over-achieving student into a lazy, junk food-eating otaku, leaving all the housework to her responsible older brother Taihei. Whether she’s hanging out with her friends Nana Ebina and Kirie Motoba, or competing with her self-proclaimed “rival” Sylphinford Tachibana, Umaru knows how to kick back and have some fun! The anime centers on Kohane Hatoya, a young woman who loves to be helpful to others. 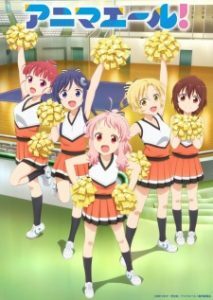 After she moves from middle school to high school, she becomes fascinated with cheerleading, and she starts a cheerleading club at her high school. Joining Kohane in her cheerleading activities is the experienced Hizume and Kohane’s childhood friend Uki.